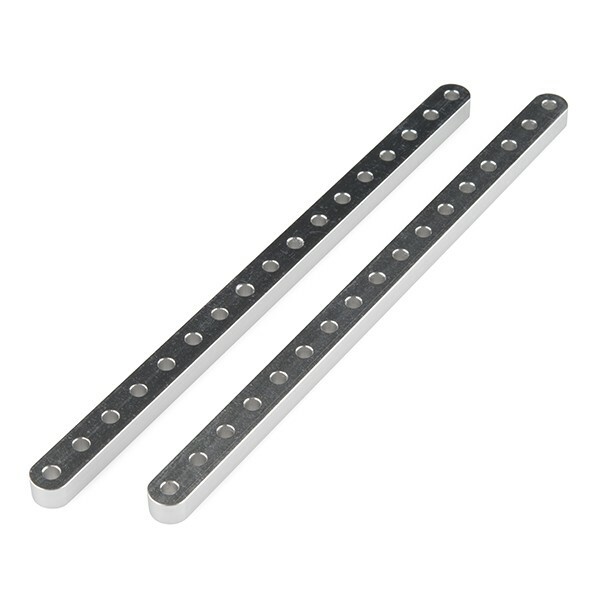 Description:These aluminum beams are great for making unique links and connections in your Actobotics project thanks to 17 thru-holes running its length and are sold in packs of two. Each beam has a length of 6.16", a width of 0.375", a thickness of 0.25", and utilize the 0.77" hub pattern. Note:The length of these beams is calculated from the center of each thru-hole at opposite ends, the over-all length is 6.535".